Clean the peanuts and wash it.Drop in a colander & drain the water. Transfer the nuts to a larger bowl. Mix chilli powder, salt, hing & finally besan. 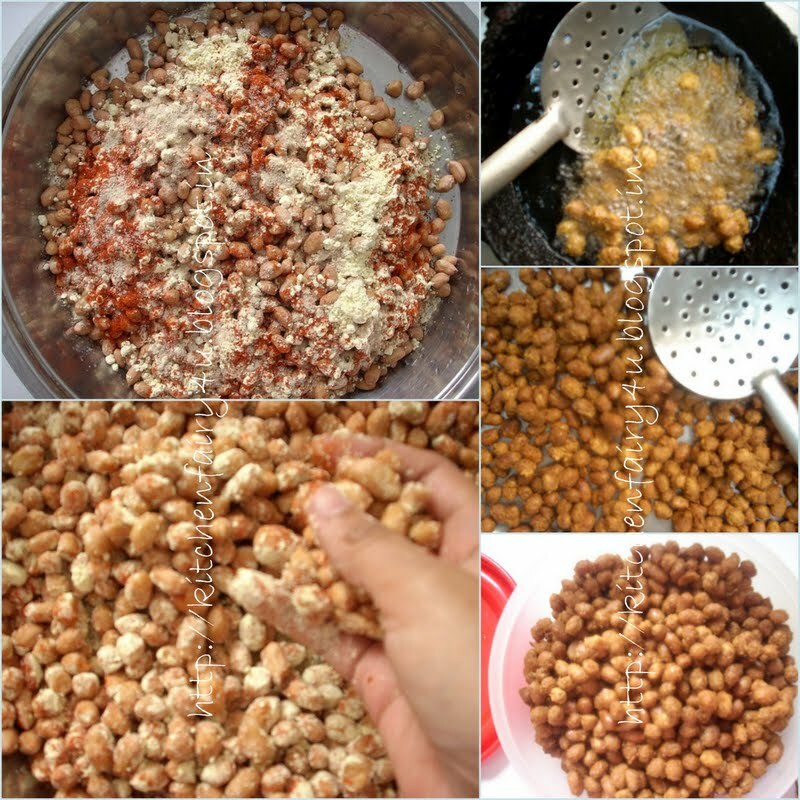 Deep fry the masala coated nuts in hot oil, handful at a time, turning over now & then, till golden brown & crisp. Store in a airtight container when cool. Cashewnut Masala Fry is also prepared by the same method.